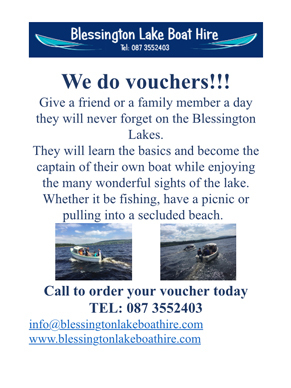 Blessington Lake Boating and Picnic. 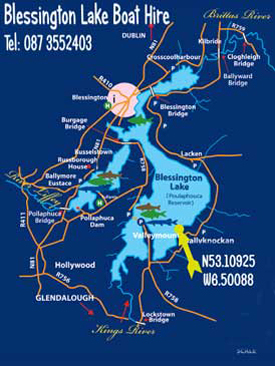 Explore this fantastic waterway surrounded by the Wicklow Hills. 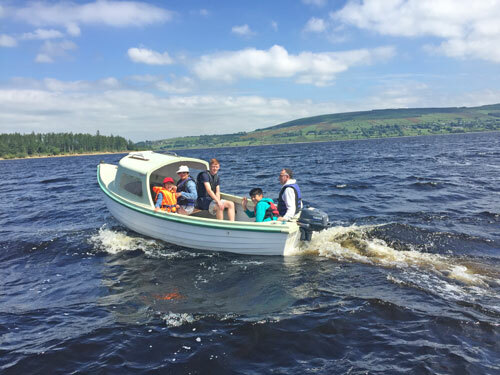 Great for children - learn to row a lake boat. Find a secluded beach for a picnic. PFD's (buoyancy jackets) provided for everyone aboard. Friendly advice and tuition given for all levels and ages. 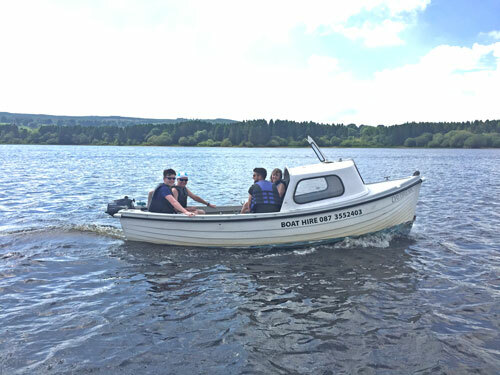 Bring a picnic - just row and drift - very popular.